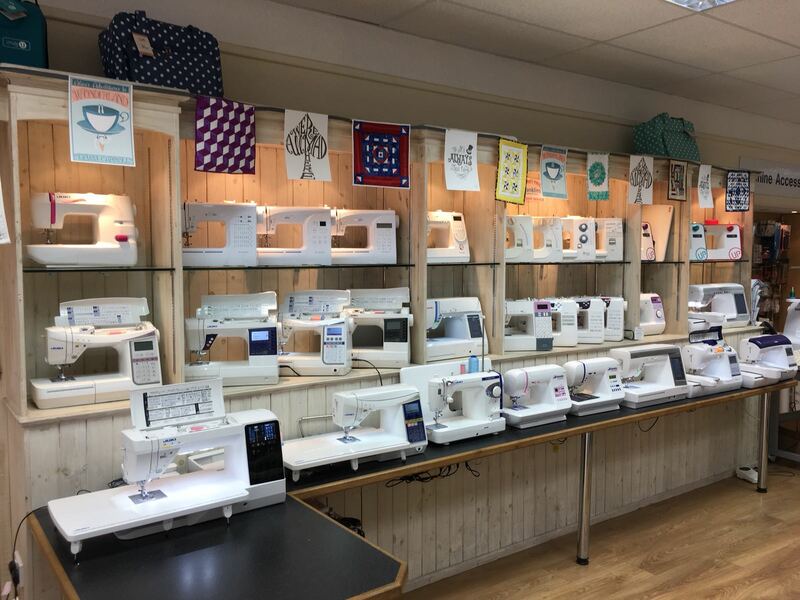 As an important hub for sewing professionals in Wiltshire, our sewing shop in Salisbury is the perfect place to browse all of the latest sewing machines, quilting machines, overlockers, fabrics, wools and more. From vibrant fashion fabrics to an exceptional range of threads and cottons, we are proud to stock the most comprehensive range of sewing and dressmaking accessories in the region. Just a beginner? Not to worry! Our friendly, knowledgeable staff are always on hand to talk you through our products, ensuring you always purchase the most suitable equipment and materials for your sewing project. You can even test our sewing machines for yourself, grabbing insider tips and tricks from our team on the way. If you would like to speak to one of the team at our Salisbury sewing shop, please call 01722 554466. There is Pay & Display at the shopfront for customers travelling to us by car.